Chemical resistant gloves offer multi-purpose protection for heavy duty work. At Pattersons Workwear we stock an extensive range of chemical resistant gloves so you can find the right chemical protection gloves for your needs. Many of these gloves have a flock lined interior, which ensures these gloves offer added comfort and absorption of perspiration. Featuring a wide selection, these safety gloves are ideal for assembly operations, plus cleaning, janitorial and maintenance tasks in commercial and industrial environments such as printing, pharmaceutical and chemical manufacture. While extra-long gloves are ideal for use where heavy duty chemical protection is essential, such as for sandblasting, sanitation, agriculture, fishing. Chemical protection gloves have a high resistance to many ketones, salts, detergents, alcohols, alkalies and fats. Our large range of work safety gloves will ensure your hands are protected against all hazards. For all your workwear needs, browse the Pattersons Workwear website now and choose from a huge range of clothing and PPE to ensure you have all the safety workwear you could ever need. 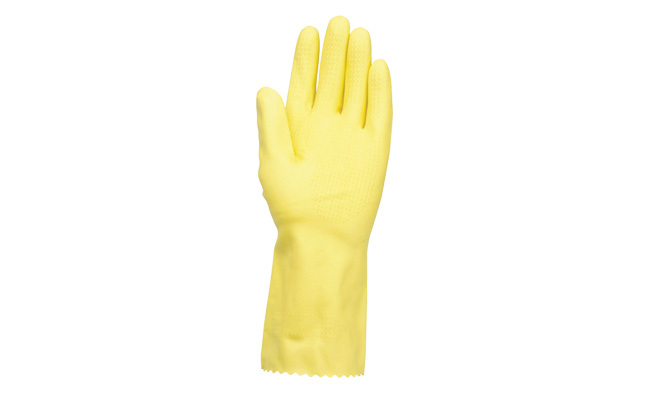 If you have any questions, or need any guidance about which chemical resistant gloves to choose contact our team of cleaning product experts at web@pattersons.co.uk.